Research shows that the average person gets 147 e-mails a day — and most of them are a pain to receive. 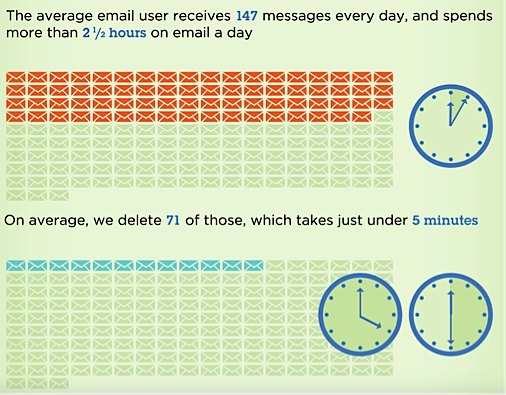 In fact, based on Baydin Boomerang e-mail research, we delete 71 e-mails in an average time of under 3.2 seconds each. That’s all the time you have to get a prospect to give you their attention, understand your message, and follow through on your call to action. 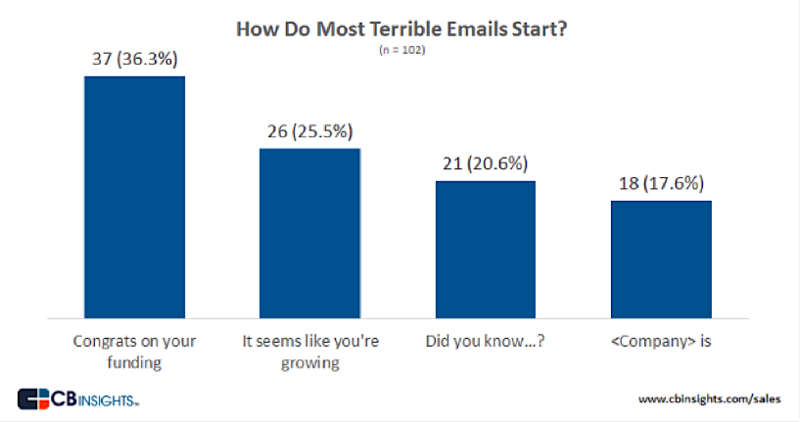 But the problem is, most cold e-mails are terrible. The senders don’t follow up (44% of salespeople don’t), they write bad subject lines that have readers heading for the delete button before they’ve even opened it, they start the e-mail off with a templated message that sounds inauthentic, they pepper them with links, or they don’t focus on what’s in it for the reader. Is it any wonder that most salespeople struggle to get a response rate of 10%? For example, according to CB Insights, most terrible cold e-mails start with a generic “congrats on your funding” or “it seems like you’re growing” message which aren’t tailored to the reader. But those who do cold e-mails right can see incredible results in record time — like this company that got a 57% open rate, 21% response rate, and 16 new B2B customers from a few simple e-mail tweaks. Even though many of us are drowning in e-mail and would like to see less of it, e-mail is still the number one platform for generating sales. No other platform has conditioned us to expect messages from complete strangers and actually respond as well as e-mail has. 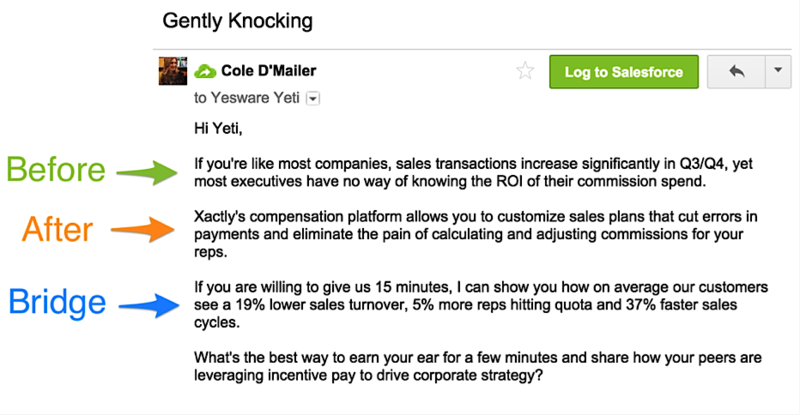 In this post, I’ll talk about some strategies and tactics you can use to skyrocket your response rates to your cold emails. But before you start writing cold emails, it’s important to get inside the mind of your target audience. Many salespeople dive right into subject line and e-mail marketing tactics without taking the time to really get inside the minds of their customers first. They immediately focus on blasting out a huge volume of e-mails, hoping that a few people will somehow respond. This is the main reason why most cold e-mails come off as spammy and are instantly deleted. My name is Jennifer with XYZ Sales Training. We improve sales performance through our unique blend of sales technology and experience, resulting in 89% better quota achievement. Our industry-leading methodology has helped more than 650,000 sales professionals find and close more deals, and our proven sales process makes your forecast and pipelines accurate by putting science behind it. It all gets delivered through our BigDeal® technology – the on-demand Sales Performance Automation application that operates standalone, or can be integrated with your existing CRM system to produced sustained, measurable results. And to ensure that your sales teams get the full benefit, our virtual learning system delivers on-the-job training worldwide – reinforced by expert coaching. E-mails like the one above aren’t just low converting — they also don’t show any empathy for the reader. And if you don’t focus on what’s in it for the reader, they’ll lose interest pretty fast. Many cold e-mails fall flat because they don’t take into account the fact that they’re selling to individuals first, not corporations. Sometimes we forget that the person at the other end of the e-mail is also just like us — with the same range of emotions, hopes and fears. It might seem like we’re selling to companies that make logical, formal decisions about what products they buy, but in reality those decisions are heavily influenced by the emotions of the people making those decisions. It’s a well known fact: people buy with emotion, then justify afterward with logic. The same thing applies to cold e-mails. For example, you could include in the e-mail why it would benefit them personally to purchase your product. Maybe they want to feel important in meetings. Maybe they want their boss to recognize them more. Maybe they want to improve their performance so they can get a raise. E-mails like this set themselves apart from the crowd because they show empathy, they show that you really took some time to think about what the person reading the e-mail would actually want instead of blasting a thousand different leads with the same template. Anand Sanwal, the CEO of CB Insights, said that he would be willing to look at whitepapers, case studies, and consider a product that was relevant to his company’s situation in this writeup. However, most emails didn’t even specifically mention what was in it for him, so he went straight for the delete button like so many others. Whenever we send out an e-mail asking people to sign up for a demo or get on a sales call, it’s usually at the center of our attention. It’s one of the most important things we focus on all day. But to the average prospect, your e-mail is just a small little blip in their day. They have other, pressing problems to worry about. As Jill Kornath says: Let’s say you’re the VP of sales for your company. You’re swamped and have to deal with a million different problems at work all at once. Maybe one of your top customers is upset with something. Maybe you’ve had some turnover. Maybe you have an overflowing inbox and you just happened to click on someone’s cold e-mail. What sort of message would make you want to respond and get on a call with the salesperson? It’s important to understand the workflow that your prospects go through in a typical day and try to make your e-mail fit within that workflow. For a prospect who’s having a tough day, a bad cold e-mail could make them even more agitated. But a good e-mail will help you earn their respect, which would likely lead to a response. Like it or not, you’re also being judged by your prospects on your ability to sell, not just what you’re selling. 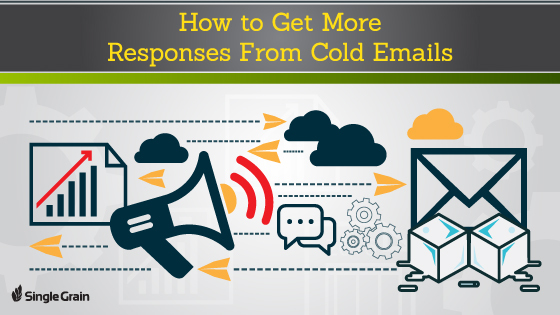 Next, we’ll dive into some tactics on how to get more responses from your cold e-mails. Once you send the e-mail, there’s only one thing that determines whether your prospect will actually read it or not: your subject line. If you get that wrong, then all the hard work you put into the body of the e-mail goes waste. No one will read it. That’s what happens to nearly 50% of the e-mails we receive every single day. We delete them in under five minutes. It’s not easy to write the perfect subject line. You have to walk a fine line between telling them about your product and keeping it general enough to evoke curiosity. The best e-mail subject lines are creative, interest-provoking, and informative without giving too much away. This is a great way to invoke curiosity. According to research, people find this level of uncertainty very unsettling. It just keeps nagging at them until they open the e-mail to see what your quick question is. And because you wrote “quick question,” they know it’s not going to be ten pages long. In fact, I’ve sent welcome e-mails with this subject line to my e-mail list, and it gets open rates around 85%. People love numbered lists. We see how successful they are in blog post headlines: list posts are among the most commonly read and shared blog posts of all. According to Noah Kagan at Ok Dork, the reason for this could be that lists give readers an idea of exactly what to expect. These types of posts can also be skimmed and are therefore easy to read. The same principles apply to cold e-mails, too. If your prospect is busy with work and has a crowded inbox with a million things demanding their attention, then they’d be more likely to open a list-style e-mail because they would expect to be able to skim it easily. You can congratulate your prospects on a great quarter, press coverage, a new product or feature release, raising financing and more – depending on what feels appropriate. Most people send these types of “congratulations” in the body of the e-mail. This can work, but according to YesWare, the more value you can add through the subject line itself, the more likely it is that your e-mail will get read. Everybody loves to be recognized and appreciated for what they do, even people who receive that appreciation all the time. People are unlikely to turn down the opportunity to read something flattering about themselves, so there’s a good chance that your e-mail will get read. The sender name is what people typically look at first before they read the subject line when they get an e-mail in their inbox. According to Joanna Wiebe from Copy Hackers, if the sender’s name doesn’t sound like someone you want to hear from, it doesn’t matter what your subject line is – people won’t open the e-mail. You don’t need some fancy name to stand out in people’s inboxes. You just need to seem like a human. For example, you should never use generic company email addresses, like [email protected] or [email protected]. Apart from making you sound like a robot, people are generally not going to reply to those e-mails or add them to their address book – which reduces the chances of your e-mails showing up in their “Primary” inbox. This can also be a great opportunity to hook your audience with urgency or praise. Apart from A/B testing, there are other ways to test whether your subject line will lead to increased open rates or not. Depending on your e-mail client, you might be able to leverage the help of a “subject line analyzer.” For example, MailChimp has a subject line research tool that allows you to compare your subject line phrase to all others that have been sent through MailChimp. Then it will give you a rating (from one to five stars) on how good that subject line is. 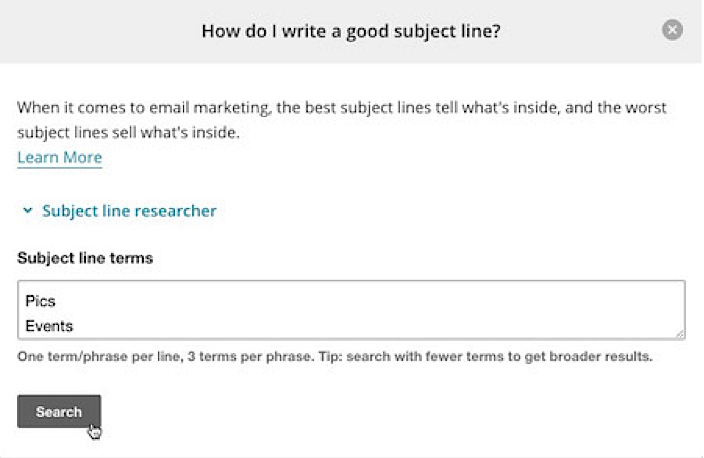 Enter your “subject line terms.” From there, you can click “search” to see how your phrases compare against other terms and phrases from MailChimp campaigns. Most cold e-mail clients also have A/B testing tools that are easy to use, such as Mixmax. Once you get your prospect’s attention and get them to open your e-mail, the real work begins. According to Baydin, we delete e-mails in an average of under 3.2 seconds. You have a very short window of time to get a prospect’s attention in order to get them to take the action you want them to take. One of the most effective approaches to writing cold e-mails is to ask for referrals within the organization. It’s a well known fact that people are more likely to respond to an e-mail coming from a mutual contact than a random stranger. Here are a couple of sample e-mail templates that convert well, according to Close.io. My name is [my name] and I head up business development efforts with [my company]. We recently launched a new platform that [one sentence pitch]. I am taking an educated stab in the dark here, however based on your online profile, you appear to be an appropriate person to connect with … or might at least point me in the right direction. I’d like to speak with someone from [company] who is responsible for [handling something that’s relevant to my product]. If that’s you, are you open to a fifteen minute call on _________ [time and date] to discuss ways the [company name] platform can specifically help your business? If not you, can you please put me in touch with the right person? Another option is to use proven psychological frameworks to get prospects to read every sentence of your e-mail and take action. For example, Yesware used a technique in their cold e-mails called the “Before-After-Bridge.” They started the e-mail by talking about the prospect’s current problem, what their world would look like after they solved it, and how to get there. You can use all the right subject line and copywriting tactics to get your response rates up, but at the end of the day, getting success with cold e-mailing is about volume. You have to send out a lot of e-mails day after day. One way to simplify this is by using cold e-mail automation tools that allow you to send out e-mails more efficiently, automate your follow ups, and more. For example, you could use a tool like Close.io to automatically track your sales e-mails in one place, and send outreach e-mails with one click. 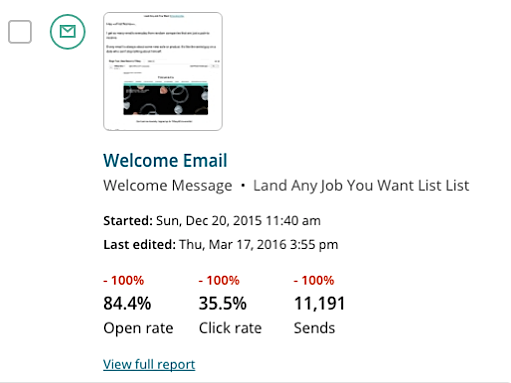 Or you could use a tool like Reply.io to automate personalized e-mails and follow ups. Consistent follow up e-mails are crucial when you’re doing cold outreach. If you try calling your prospect and aren’t able to reach them, send them a quick follow-up e-mail right after you leave a voicemail. According to research, this works because you allow your prospects to observe you through both their eyes and ears. Because you’re reaching them across multiple senses, you increase the impact of your e-mail. Personalization is a huge factor when it comes to cold e-mail success. Unfortunately, most salespeople think that personalization is limited to things like greetings or subject lines. In reality, personalization can be reflected in a variety of different ways in your e-mail. For example, the following e-mail gets a 50% reply rate because of personalization based on the behavior of the recipient. If you see that a prospect is opening an e-mail and clicking links but not responding, you can send a quick follow-up saying that you noticed and offer to tell your prospect more about your business over a phone call. Because your follow-up email feels tailored to the recipient (i.e. you’re following up because you noticed specific behavior, rather than sending out blanket follow-up templates to everyone), you’d be more likely to get a response. Cold outreach can be a massively beneficial tactic for those who know how to do it right. Those who know how to write good e-mail copy and the right subject lines to get their prospect’s attention and then automate it to scale their reach can save time, get better reply rates, and grow their business.